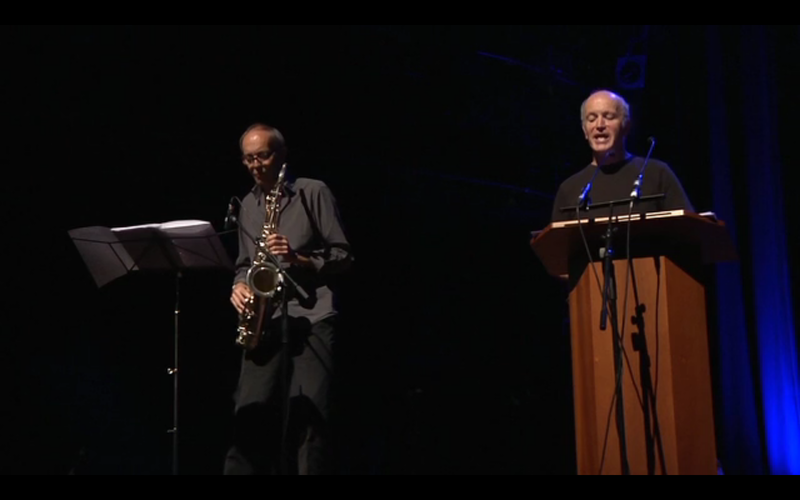 Iain Sinclair's "America Ground " and the film "The UK Gold"
If you missed the OPEN film and poetry event at Café Oto last December, with Iain Sinclair and William Taylor, you can catch up now. Obtain a copy here of the film "The UK Gold" which exposes the City of London Corporation's demonic complicity in corporate exploitation worldwide by the use of tax avoidance and tax havens. It features William Taylor who this week won election to the City as Labour's first sucessful candidate. 'Best Documentary' at London's 2013 East End film festival. Mark Donne's film "The UK Gold" You can order your copy here. "A shining piece of film-making on the darkness at the heart of the City....this is a film no-one should avoid" Daily Mirror. 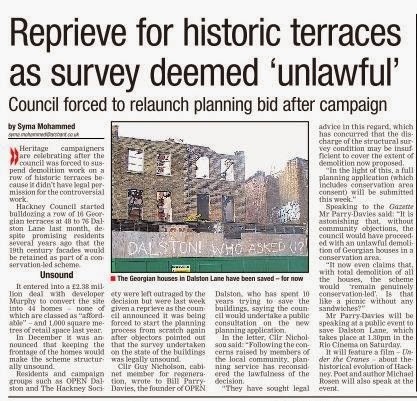 OPEN's solicitors have today written to Hackney Council requiring its undertaking that it will stop all demolition of Dalston Terrace until its Cabinet, and its Planning Committee, have reviewed their decisions. The Council's development partner , Murphy Homes Ltd., has also been informed of the letter. Since 2005 Hackney's policies have been to preserve and enhance the Dalston Lane (West) Conservation Area, of which the Georgian houses in Dalston Terrace comprise more than half the total number of buildings. Hackney launched a conservation-led regeneration project in 2006. It's Cabinet later authorised its officers to recruit a design team to obtain planning permission, and to procure a development partner, for a conservation led refurbishment scheme. But on March 5th its Planning Committee, by its Chair's second vote, agreed to permit complete demolition of all the buildings. This video shows Hackney's neglect and indifference to these houses which it claims are now beyond repair. 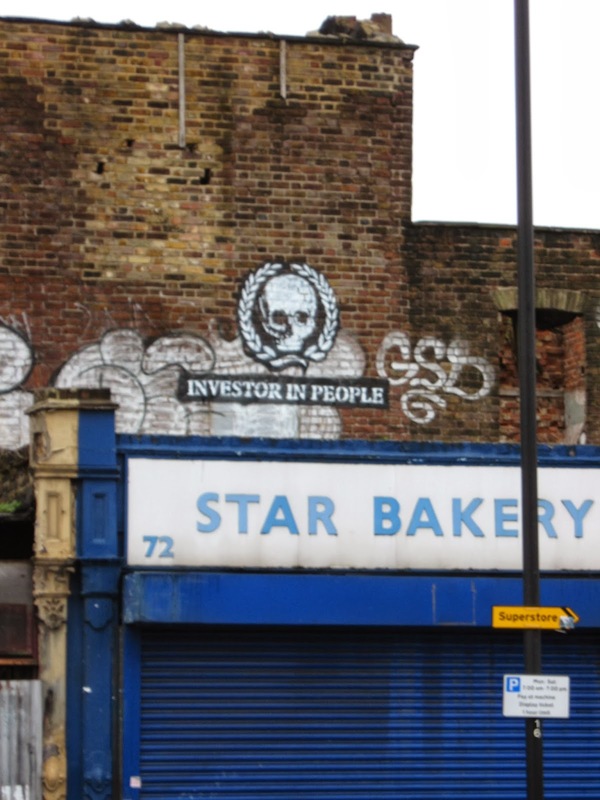 Will Hackney now stop the planned commercially-led, demolition and new build, scheme? The Georgian Group stated that it "is saddened that your Council is contemplating rewarding itself...for the deliberate neglect of this group of heritage assets". OPEN has launched an appeal for contributions to its fighting fund. £000's have already been donated, but £0000s are urgently needed if municipal vandalism is to be defeated. Donations of £250 or greater will be refunded in the case of an excess of funds; but it is the many donations of £10 that will make all the difference. The Vandals: an eastern Germanic tribe which earned notoriety by sacking Rome in the 5th century, but which was later defeated by the Goths. Municipal vandalism: the destruction of our cultural heritage by corporate ignorance, deliberate neglect, greed and vanity, all in the name of regeneration and progress. 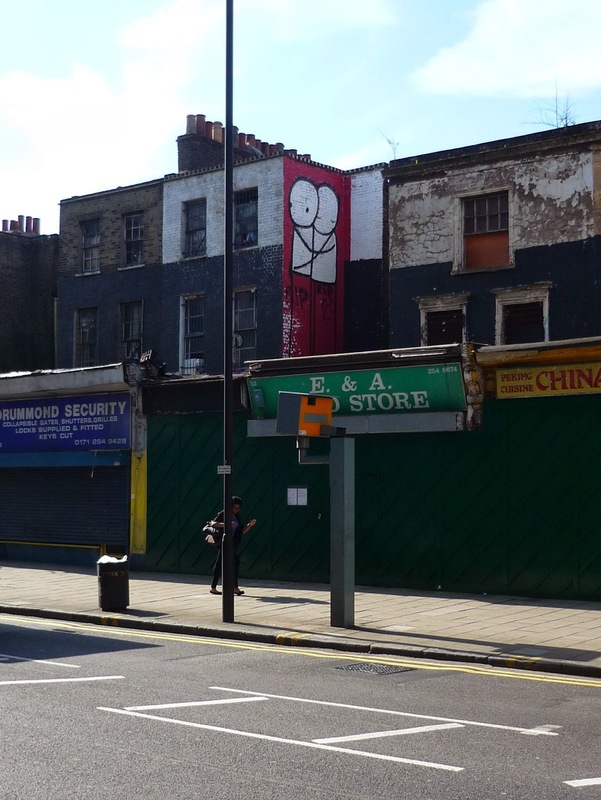 Fighting fund appeal in the battle for Dalston Lane! 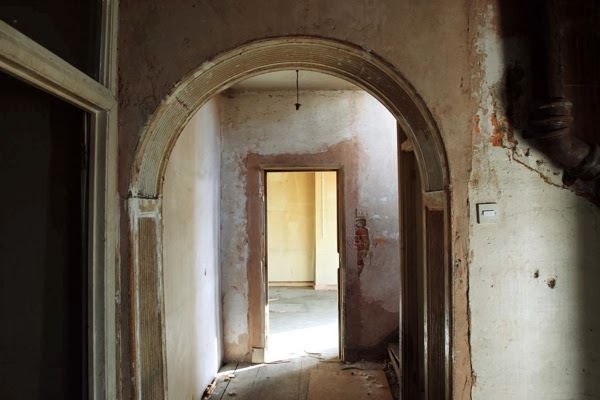 Since 2005 Hackney has clearly committed to the conservation of Dalston Terrace with detailed policy and guidance to ensure the protection of the buildings and preservation the conservation area. But they have now granted planning permission for the demolition of the surviving historic buildings at 48-76 Dalston Lane. Hackney have ignored their own policies in the interest of a smooth ride with their developer partner, Murphy, who are set up on site and will commence the destruction any day: demolition is not just cheaper, easier and quicker but falls within the skill set of a firm whose motto is "breathing life into infrastructure” but sadly not, it appears, Georgian buildings. Hackney said its' own neglect of the houses meant that their condition now makes them beyond repair. But it chose to ignore the advice of its own , and an independent, expert conservation engineer. OPEN members were powerful in their objections to the planning application but even 785 objections were not enough to swing the 4:4 vote towards refusal. OPEN is urgently obtaining specialist advice on the prospects of a successful legal challenge and need to move fast to optimise the chances. But the legal costs will need to be met: this is an appeal to OPEN supporters for donations to the fighting fund. Please contribute to the battle for Dalston Lane! One man, two votes! Georgian houses of Dalston Terrace to be demolished. The Chair of Hackney's Planning Committee, Councillor Vincent Stops, used his casting vote on a tie break to approve demolition of the surviving 13 Georgian houses in Dalston Terrace last Wednesday 5th March. It was democracy inaction, and resonant with deja vu. 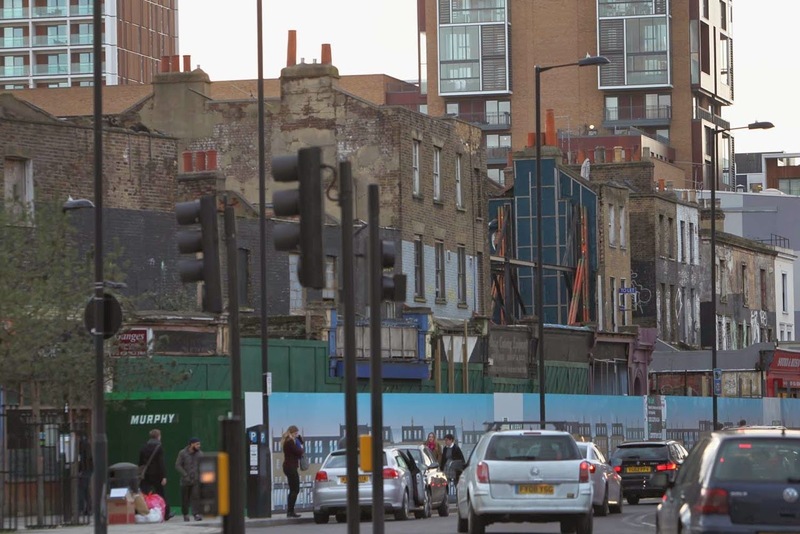 The Council's officers reported that there had been 785 written objections to the planning application, by Hackney's development partner Murphy, to demolish the 200 year old houses. You can read OPEN's objections here. Hundreds of local people, including Dalston architect Lisa Shell, objected as well as three local Conservation Area Committees, The Hackney Society, the Spitalfields Historic Buildings Trust, the East London Preservation Society, the Heritage of London Trust, SAVE Britains Heritage, the Victorian Society, the Georgian Group and The Society for the Protection of Ancient Buildings(SPAB) . All urged restraint and that Hackney consider the issues further. But, with Hackney and Murphy's haste to proceed, there was to be no stay of execution. The Council officers report to its Planning Committee was telling. Hackney pleaded it own negligence, in failing to maintain and protect the houses which had "been in an unheated and damp condition for years", to explain why they are now incapable of repair and redemption. Hackney had in effect, despite the lofty public pronouncements of its politicians, and numerous officers' reports over many years, just stood by and watched the houses decay. It had even, at public expense, demolished three of the houses itself and dressed others in funereal black paint, whilst they were in private ownership, . In responding to each planning objection, Hackney's officers sided with the developer, Muphy's, opinion about the irredeemable condition of the structures, even against the advice of Hackney's own appointed independent expert, Alan Baxter LLP. Despite Hackney's public commitment to a conservation-led scheme, in which the design is subservient to the buildings heritage, it is clear that the plans are commercially led, a demolition and new-build scheme, in "heritage likeness". Little value has been put on the heritage, cultural and economic value of restoration. Murphy are to lease the new ground floor shops back to Hackney, which has specified 'open plan' shops " designed to appeal to range of potential occupiers". (Who are they? Ed.) The degree of structural intervention to create such "open plan" shops, Alan Baxter LLP advised, would cause the buildings to collapse. In Hackney's eyes traditional shops - like those of Broadway Market, Columbia Road and Covent Garden - have no place in Dalston Lane. No options appraisal appears to have been carried out - an oversight with grave consequences. The ground floor interior of one of the 1807 houses that Murphy would rip out under the 'conservation led" scheme. 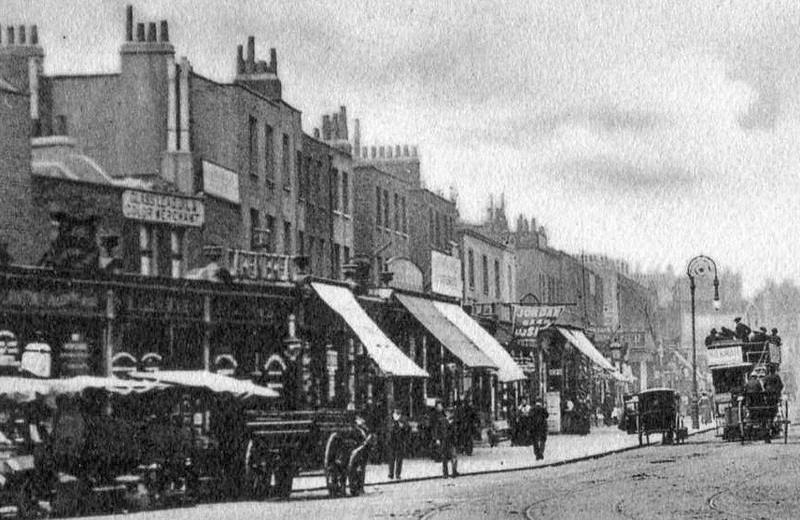 Even if we were to keep the traditional shops, Hackney responded, "the same conclusions would hold true" because, Murphy's engineers say, the poor quality of Georgian construction and inferior bricks are inherently weak. But Hackney's own expert, Alan Baxter LLP had advised that "With regards to the brickwork strength argument, this is flawed. It is not appropriate to judge buildings of this age and type as if they are modern construction" . This view was supported by the forensic analysis of a SPAB Fellow, and the internationally recognised Morton Partnership whose opinion was that "some buildings...still have a very good potential to be retained in their entirety and brought back into use with sympathetic restoration and repair". The officers denigrated their views - "The position of the Ed Morton and Alan Baxter reports with regard to brickwork durability is not accepted." 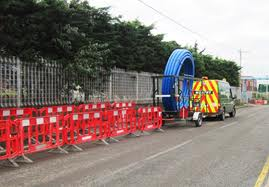 Murphy are know for "breathing life into infrastructure projects" but, sadly, not Georgian buildings. When Murphy's structural engineer was asked whether he personally, or any member of his firm, had any conservation accreditation at all to support their judgment, he was unable to reply affirmatively and the Committee Chair stepped in to forbid further discussion of the issue. We are also not aware that Murphy's architects had any such accreditation either. And so the houses must come down and be rebuilt with new bricks and modern construction techniques to create a replica "heritage likeness" scheme. Although officers reported that the demolition and new build scheme will have "some construction cost savings", any affordable housing nevertheless remains "unviable" because, they advised, the developer must (as in all these schemes) first recover a 20% profit. Despite Committee members questioning, the officers failed to report and advise them that, if everything is demolished, the new build scheme could potentially attract a developer's windfall of 20% VAT exemption. The Council's manager had told OPEN members personally that he "argued strongly against any affordable housing to ensure the development would be of the highest quality." Early written reports appear to show that they had ruled out any affordable housing even before any viability test had been undertaken. At the conclusion of the debate the Committee Chair plus 3 members voted in favour of demolition, and 4 members voted against it. The Committee Chair then used his casting vote in favour. Motion carried for demolition. Job done. Dalston's Georgian houses hold their breath. Tonight, Hackney's Planning Committee will consider and decide, in public, an application by the Council's development partner, Murphy, to demolish the thirteen surviving 200 year old Georgian houses in Dalston Terrace. You can attend the meeting tonight at 6:30pm in the Hackney Town Hall. We have several objectors registered to speak. You can read our written objections here. Murphy, which entered a development agreement with Hackney on 27th June 2013, will tell the Committee that implementing the approved "conservation led " scheme will cause the buildings to collapse, and so they should all now be demolished. Murphy's structural engineers had previously advised that the scheme was possible, when the Committee granted planning permission in August 2012, but had changed their opinion by the time of the development agreement with Hackney on 27 June 2013. 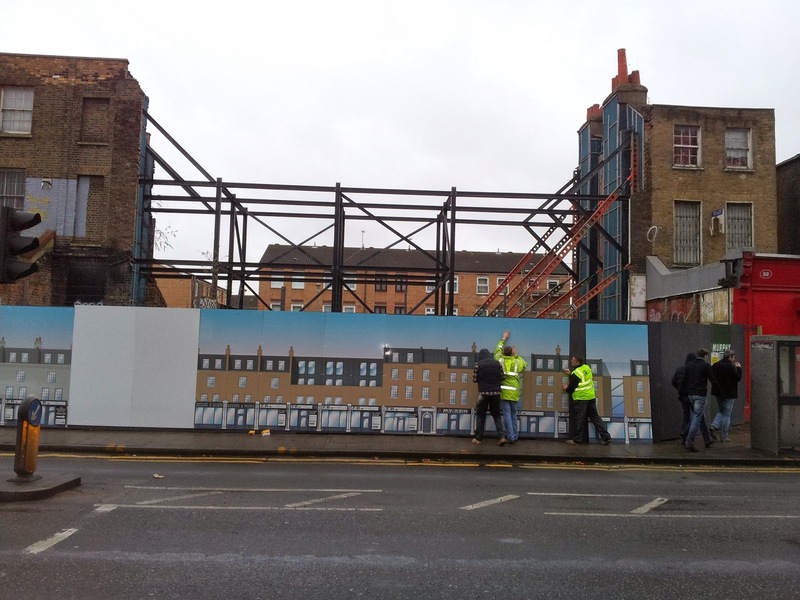 Last December Hackney authorised Murphy to commence demolition without planning permission. When we challanged Hackney, Councillor Nicholson admitted that the demolitions were unlawful and they were ceased. Muphy's current planning application is to resume the demolitions. Since Murphy's application for wholesale demolition, local architect, Lisa Shell, has commissioned a further investigation by the Morton Partnership, an internationally recognised firm of conservation engineers. They advise that, with the use of specialist techniques, not only could the "conservation led" scheme be implemented as designed but also that all, but one, of the thirteen surviving Georgian houses could still be saved. Hackney's funereal dressing of black paint over the graffiti on the Georgian brickwork and renders. A reminder of the charred remains of the nine buildings burnt down in Dalston over recent years and all on "development opportunity" sites. 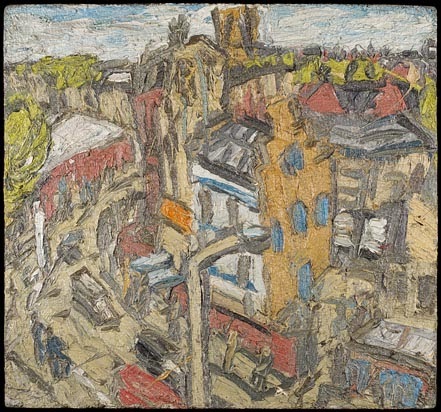 The application to demolish the houses has attracted controversy, and a huge number of objections from local residents as well as from The Hackney Society, three local Conservation Area Committees, The Society for the Protection of Ancient Buildings, the Georgian Group, SAVE Britains Heritage, The Spitalfields Historic Buildings Trust, the Heritage of London Trust, the East London Preservation Society and others. We are extremely grateful to them all for their interest and concern. The Georgian houses of Dalston terrace have had a troubled history. Due to the indifference and neglect by the owner, Hackney Council, only two of originally sixteen businesses remain in occupation and Hackney already demolished three of the houses in 2007 when it declared a "conservation led development scheme". OPEN has always campaigned to save the houses which represent the some of the last surviving fragments of Dalston's historic development and character. You are entitled to attend the Council meeting tonight to witness democracy inaction.